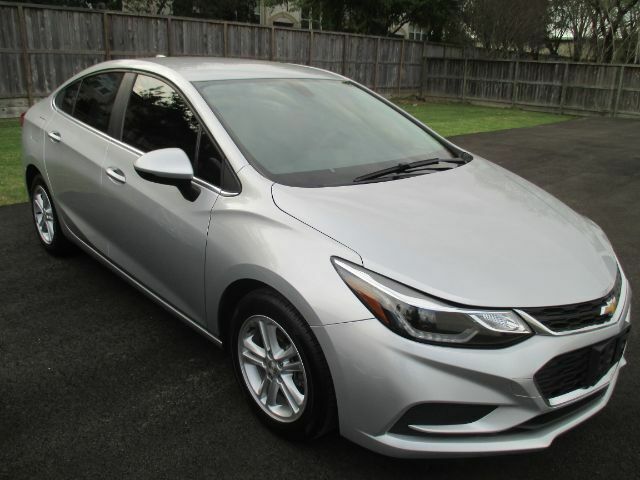 Take a joyride in our Mosaic Black Metallic 2016 Chevrolet Cruze LT Sedan! This Cruze has all the technology, efficiency, and style you desire. Powered by an efficient TurboCharged 1.4 Liter 4 Cylinder that offers 153hp while connected to a smooth-shifting 6 Speed Automatic transmission for ultimate road control. Enjoy swift acceleration with plenty of power for passing and merging, while attaining near 40mpg on the highway in this impressive sedan! Our Front Wheel Drive Chevrolet Cruze LT features aerodynamic sculpting, alloy wheels, LED running lights, and an overall sporty appearance. Our LT''s offers a peaceful drive with heated mirrors, cruise control, a front center armrest with cup holders, a height-adjustable heated driver seat, and 60/40-split folding rear seatbacks that offer plenty of space for all of your gear. Staying safely connected is a breeze with Bluetooth, available OnStar with 4G LTE connectivity/WiFi, MyLink infotainment with a prominent touchscreen display, steering wheel audio controls, available satellite radio, Apple CarPlay, Android Auto, and more! Crafted of the highest quality materials, our Chevrolet Cruze comes with stability control, anti-lock disc brakes, and advanced airbags as well as OnStar automatic crash notification, on-demand roadside assistance, remote door unlocking and stolen-vehicle assistance. Delivering all the features you want in your traveling companion, our Cruze is an appealing choice you''ve got to see for yourself. Print this page and call us Now... We Know You Will Enjoy Your Test Drive Towards Ownership!